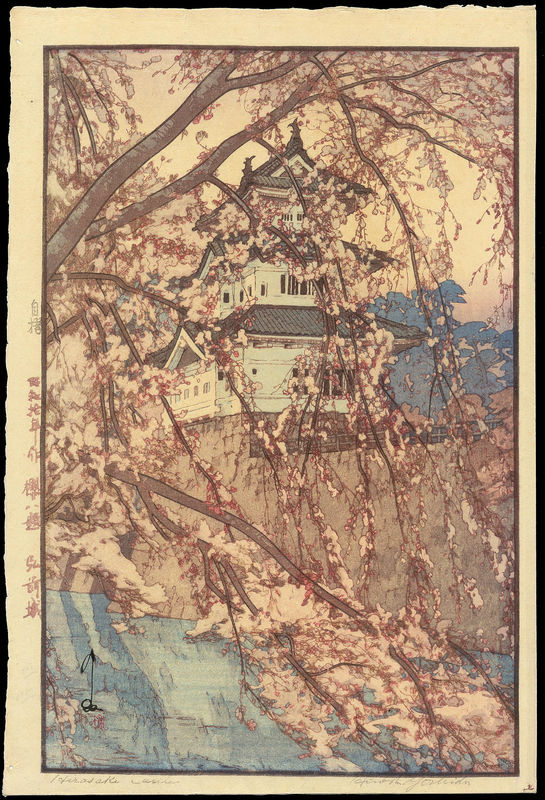 Yoshida, Hiroshi (1876-1950) "Hirosaki Castle" - Woodblock - Chinese and Japanese woodblock prints for sale, silkscreen, scrolls, watercolor, lithographs. 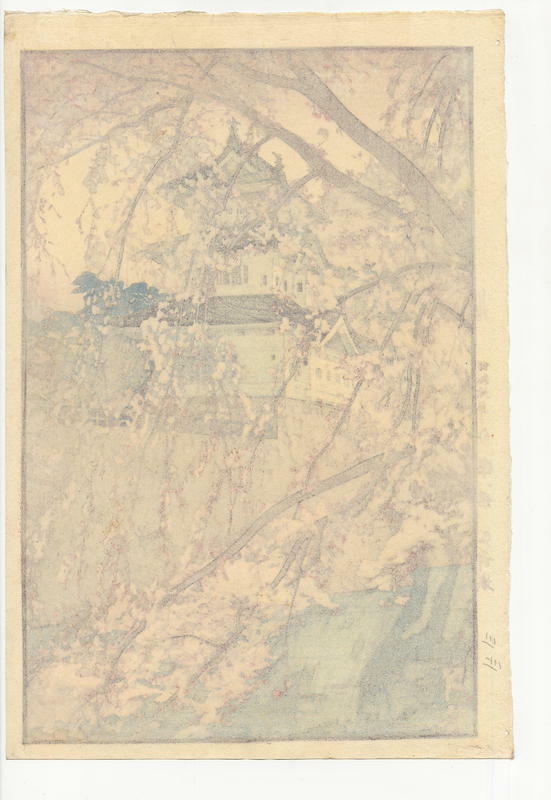 Artwork Details for Yoshida, Hiroshi (1876-1950) "Hirosaki Castle"
Condition: Near fine. A printer's crease in the top margin at left, and a light horizontal crease at the top left from the left margin (hard to see). Notes: Early edition with the all-important jizuri (self printed) seal in left margin, followed by the date, series title, and print title. Signed in sumi ink, Yoshida, with artist's seal Hiroshi, in the image area at lower left. Vivid, pristine colours. See a discussion of the jizuri seal here.